New version brings a new feature which improves the usability and compatibility of SpyShelter and a performance fix. 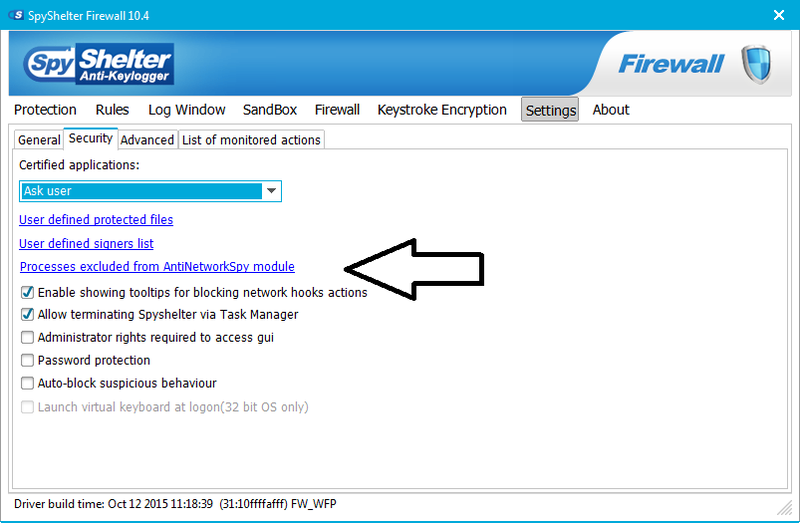 Actions monitored by AntiNetworkSpy module are not processed by Rules list. SpyShelter Premium 10.4 and SpyShelter Firewall 10.4 now allows to build a list of processes which are going to be ignored by AntiNetworkSpy Module. This option is available in Settings>Security tab. On top of that we have fixed a rare SpyShelter Firewall bug which caused high CPU usage. Users should no longer encounter this issue.